SEOUL, South Korea (AP) — The so-called Garlic Girls who swept to fame during their stirring run to an Olympic curling silver medal have alleged they were verbally abused by a South Korean official and subjected to unreasonable orders from coaches. South Korea’s sports ministry on Wednesday announced a joint investigation with the national Olympic committee into the allegations. The five-member women’s curling team sparked unprecedented national attention for their sport in February before losing to Sweden in the final on home ice at the Pyeongchang Olympics. The team sent a letter to the Korean Sport and Olympic Committee (KSOC) last week to outline their allegations. The women, from a remote province famous for its garlic, captured hearts in a country that barely recognized curling before and became sought-after models for commercials. The attention was so great during the games that their coach took away their cellphones to shield the curlers from any pressure. The Garlic Girls ultimately lost to Sweden in the gold medal match. In the letter, Kim Eun-jung, Kim Seon-yeong and Kim Cho-hee as well as the sisters Kim Yeong-ae and Kim Yeong-mi accused former Korean Curling Federation (KCF) vice-president Kim Kyong-doo of verbal abuse and team coaches of giving unreasonable orders and subjecting their private lives to excessive control. 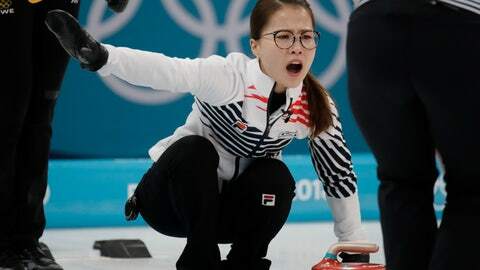 The curlers also accused coaches of holding back prize money and trying to sideline captain Kim Eun-jung after learning of her plans to start a family. The players that they no longer wish to work with head coach Kim Min-jung, daughter of Kim Kyung-doo, and her husband, Jang Ban-seok, who is mixed doubles coach. The coaching staff deny the allegations. Jang also denied any funds had been withheld from the athletes, saying that the team had agreed that prize money would be spent on overseas training and competitions. The investigation will begin next week and will include officials from the sports ministry, the national Olympic committee and the team’s home province of North Gyeongsang.